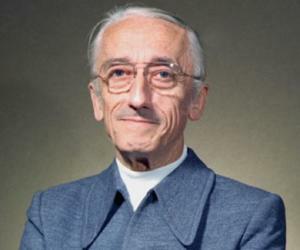 Jacques Yves Cousteau was a French naval officer, oceanographer, researcher, filmmaker, undersea explorer, author, and photographer. This biography provides detailed information about his childhood, family, personal life, explorations, etc. Jacques Yves Cousteau was a French naval officer, oceanographer, researcher, filmmaker, undersea explorer, author, and photographer. 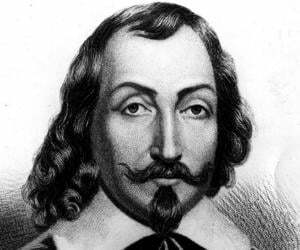 He was the co-inventor of diving and scuba devices such as the ‘Aqua-Lung.’ Born in France, he had moved around different countries with his parents, in his childhood. He had served the ‘French Navy’ and had received honors for his work. He was a conservationist, actively involved in the movement to prevent oceanic pollution. He was known for his extensive undersea explorations of all underwater life forms. 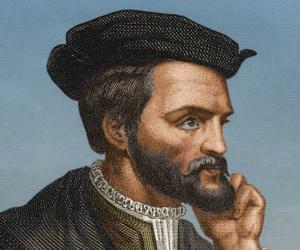 He published several books based on his underwater research and explorations. He also invented special photographic equipment that could be used by divers. 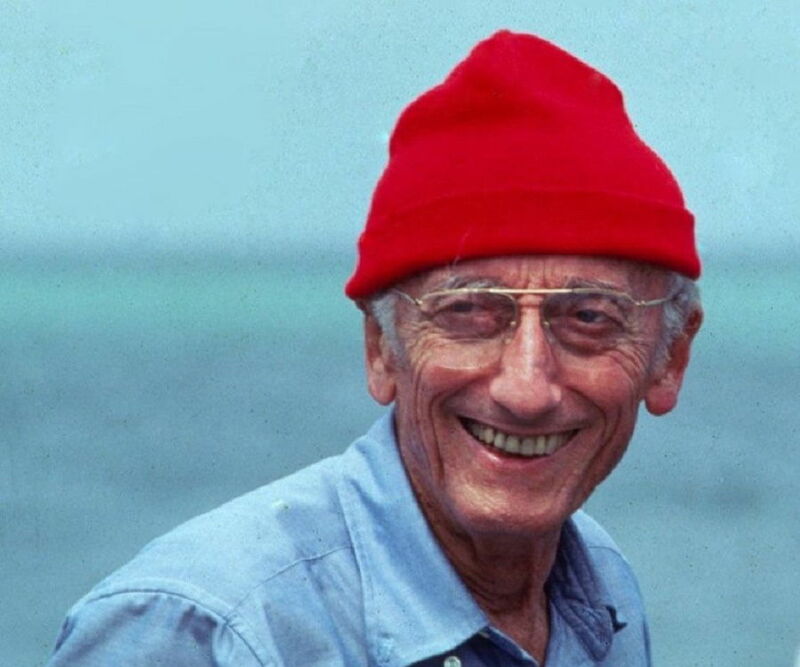 Cousteau produced a number of documentaries, films, and TV series based on his oceanographic work, the most notable being ‘The Undersea World of Jacques Cousteau.’ He received many awards for his films and for his service to mankind. He established the ‘Cousteau Society,’ an environmental group, which works for the conservation of oceanic life. He married twice. He had two sons from his first wife and a daughter and a son from his second wife. He died of a cardiac arrest in 1997. Cousteau was born in Saint-Andre-de-Cubzan, Gironde, France, on June 11, 1910. His mother, Élisabeth Duranthon, was the daughter of a wealthy landowner, and his father, Daniel Cousteau, was a lawyer. Jacques was the younger of their two sons. His elder brother’s name was Pierre-Antoine. During his childhood, Jacques suffered from anemia and enteritis, a stomach ailment. He learnt to swim when he was 4 years old. As a teenager, he developed a special liking for mechanical things. He had built a model of a marine crane when he was 11 years old. In 1918, his father was appointed as a legal advisor to Eugene Higgins, a wealthy New York expatriate, and with him, the Cousteau family traveled all over Europe. During this period, the Cousteaus lived in New York for a while, where Jacques studied at the ‘Holy Name School,’ Manhattan. He learnt underwater diving at a summer camp on Vermont’s Lake Harvey. At 13 years of age, he was sent to a boarding school in Alsace, France. After completing college, he joined the ‘French Naval Academy,’ also known as the ‘Ecole Navale,’ at Brest, France. Soon, he was posted as the second lieutenant at the naval base in Shanghai, China. In his free time, he often documented various places in China and Siberia. In order to overcome the technical problems and improve his devices, he began working with Émile Gagnan, an engineer, in 1937. Together, they developed a device with two tanks of compressed air, a mouthpiece, a hose, and an automatic regulator. The device provided air on demand. They patented this prototype as the ‘Aqua-Lung,’ in 1943. Using this newly developed device, they explored a sunken British steamer, the ‘Dalton,’ and shot their second underwater movie, ‘Wreck.’ Impressed with this work, the French naval authorities commissioned Cousteau to assist in clearing mines from French harbors and helped him to continue his research. Along with Tailliez and Dumas, he formed the ‘Underwater Research Group,’ and they developed a number of devices. Cousteau bought a converted US minesweeper, ‘Calypso,’ on July 19, 1950. Its first expedition was to the Red Sea, which resulted in a number of discoveries of unknown species of plants and animals and volcanic basins beneath the Red Sea. The next mission to Toulon (1952) brought fame to Cousteau, as they found a wrecked Roman ship, ‘Mahdia,’ filled with treasure, near the South Coast of Grand-Congloué. This was the first underwater archaeology operation. The publication of his book, ‘The Silent World,’ immensely added to his increasing eminence. Next, he and his team developed a “diving saucer,” or ‘DS-2,’ which was an easily navigable, small submarine. This helped in a number of studies of deep-sea life. Calypso undertook a 13,800-mile journey in the year 1955. During this expedition, Cousteau filmed the movie version of his book ‘The Silent World.’ This 90-minute film won him awards and accolades. In 1957, he was appointed as the director of the ‘Oceanographic Institute and Museum’ of Monaco. Through the ‘Conshelf Saturation Program,’ he demonstrated that underwater habitation was possible wherever the oceanauts could live for weeks at a time. The movie ‘World Without Sun’ was based on this project. An hour-long TV program, ‘The World of Jacques-Yves Cousteau,’ was broadcast in 1966 and received immense acclaim. This led to the popular show, ‘The Undersea World of Jacques Cousteau.’ This show featured him with his sons and ran for eight seasons. The next series, the ‘Cousteau Odyssey,’ premiered in 1977 and was about the conservation of oceanic life. A non-profit environmental group, the ‘Cousteau Society,’ was established in 1970 at Bridgeport, Connecticut. It currently boasts of over 300,000 memberships. Cousteau personally interacted with the heads of the states to restrict commercial whaling. He also campaigned against the dumping of nuclear waste in the Mediterranean Sea. In 1980, Cousteau produced two TV programs on the greater St. Lawrence waters. This was followed by the ‘Cousteau Amazon’ series in 1984. ‘Cousteau/Mississippi: The Reluctant Ally’ won an ‘Emmy Award’ in the mid-1980s. Other important inventions of Cousteau include the ‘Sea Spider,’ a multi-armed diagnostic device that was invented to study the biochemical composition of the ocean surface. In 1980, he and his team worked on high-tech wind sails, known as ‘Turbosails,’ which help in reducing consumption of fuel by ships on the ocean. Cousteau was best known for inventing the scuba device ‘Aqua-Lung,’ along with Émile Gagnan. It is a self-contained underwater breathing apparatus. A lot of other inventions, such as underwater diving devices and underwater photographic equipment, are credited to his name. ‘The Silent World,’ his book based on his daily logs, was published in 22 languages and sold more than five million copies all over the world. 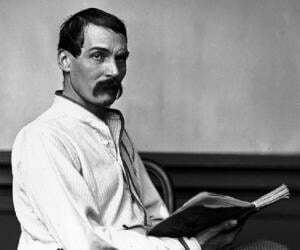 He produced a great amount of written work, which included eight volumes of the ‘Undersea Discovery’ series and 21 volumes of the ‘Ocean World’ encyclopedia series. Overall, he produced more than 115 TV films and 50 books. ‘The Undersea World of Jacques Cousteau’ was his most-appreciated TV series. Apart from ‘The Silent World,’ some of his other well-known books are ‘The Shark: Splendid Savage of the Sea’ (1970), ‘Dolphins’ (1975), and ‘Jacques Cousteau: The Ocean World’ (1985). For his services to the environment and marine life, he was awarded an ‘Honorary Companion of the Order of Australia’ in January 1990. Cousteau married Simone Melchior, a wealthy girl from Paris, in 1937. 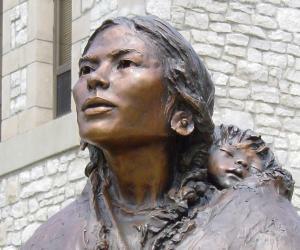 The couple had two sons, Jean-Michel, born in 1938, and Philippe, born in 1939. Later, the sons joined their father in his undersea expeditions. In June 1979, Philippe was killed when his plane crashed in the Tagus River of Portugal. Cousteau’s wife, Simone, died in 1990. In 1991, Cousteau married Francine Triplet. They had a daughter, Diane Cousteau, in 1980, and a son, Pierre-Yves Cousteau, in 1982. Jacques Cousteau died of a cardiac arrest on June 25, 1997, in Paris. He was 87 years old at the time of his death.